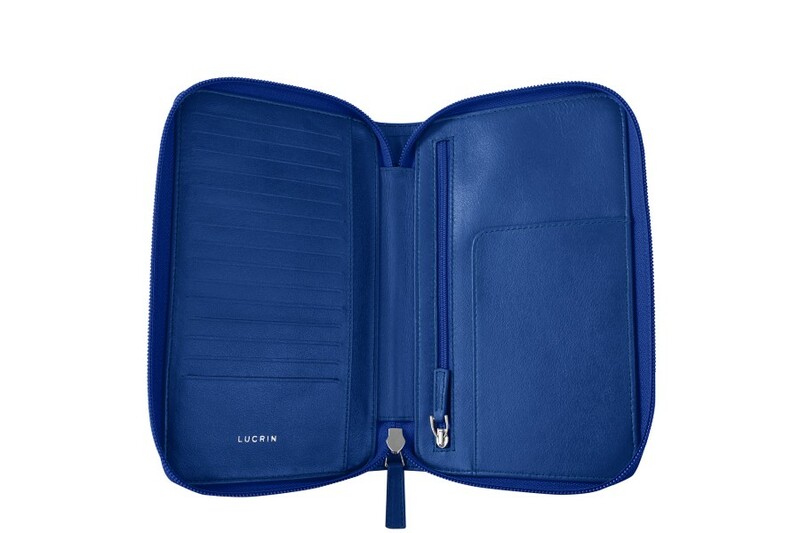 The Lucrin zipped travel wallet is perfect for travelers. Conceived in the top notch authentic leather by the finest leathercraft artisans, this travel companion is not only elegant but very practical thanks to its design and features. 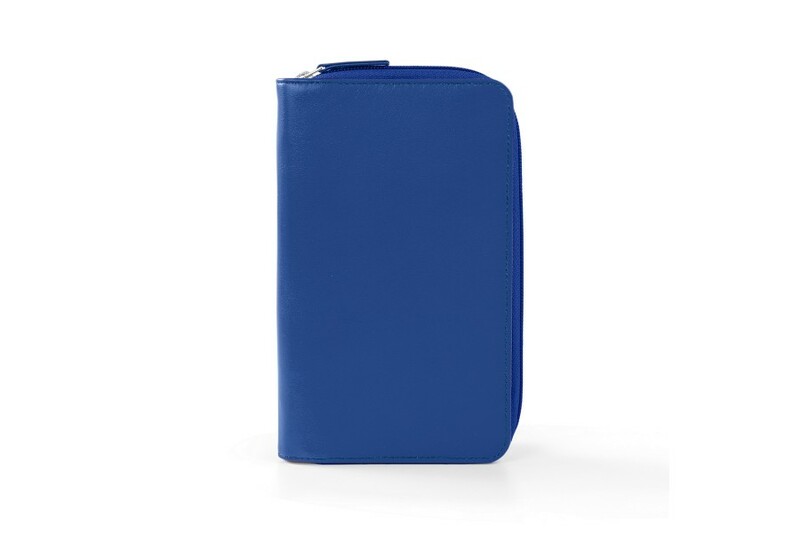 Interior left: a large vertical zipped pocket (6.9 x 3.9 inches), a compartment for air ticket or passport and a flat pocket (3.5 x 2 inches) for business cards. 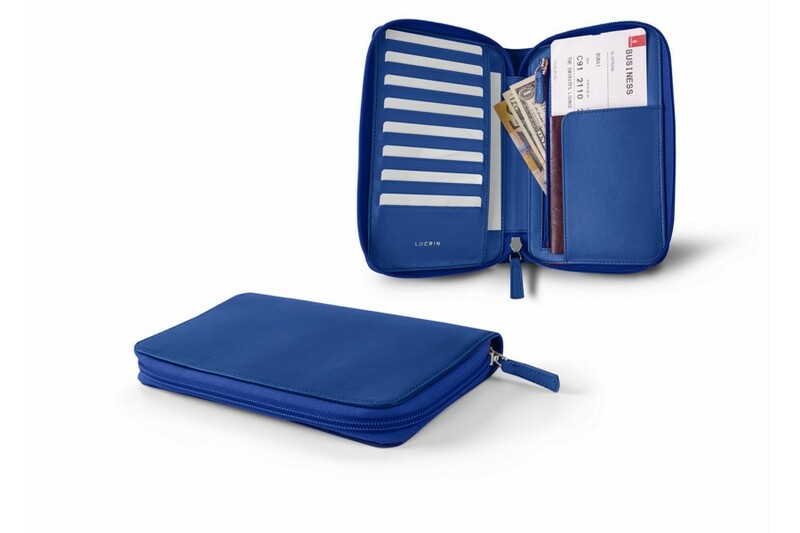 Interior right: 2 large flat pockets (8 x 3.7 inches and 8 x 3.3 inches) for your boarding pass and other important documents. 15 slots for credit cards.